This special price is available for one year only. The $19.99 per year covers 13 issues ($1.54 per issue) and is good on new subscriptions, gifts and renewals, with no auto-renewal. Though I've said this many times on Daily Cheapskate, I think it's worth saying again. On a personal note, I consider my subscription to Consumer Reports as a smart investment in making good choices. The $20 a year that I spend on the subscription has probably saved me hundreds (thousands?) in NOT buying poor quality items that have large marketing budgets. 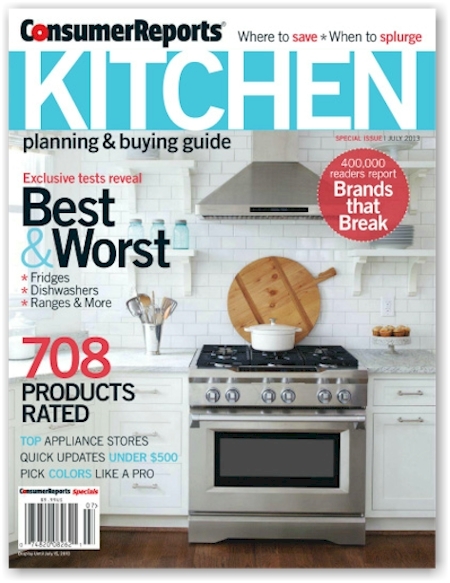 We used Consumer Reports to research our kitchen appliances, our back yard furnishings, our computer peripherals, our iPads, our phones; it even helped us decide what brand of paint to use when we repainted. 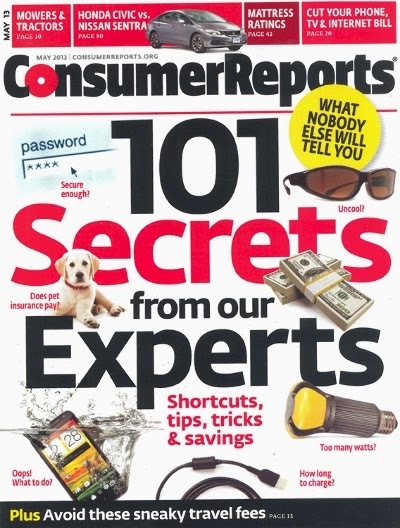 We've used Consumer Reports for pretty much every important purchase we've made in recent years.